Having a third baby was a very positive decision for us, but we also couldn’t quite believe it when I got pregnant! Despite being horrendously ill in the first weeks and losing 4kg, I was still classed as high risk as my BMI was just over 30, which meant ob-gyn led care. This led the way for stress after stress with the pregnancy and really this is what this story is about – finding the way forward as a pregnant woman and as a family when you are being pushed in directions you don’t want to go. I come from a family and a culture where medicalised birth is the norm and yet, when I got pregnant with my first child I immediately knew I wanted to go for a natural/non-medicalised option in the same way that some of my friends and colleagues (together we advocate for women’s reproductive rights and children’s rights to healthcare) had done both in Mexico and the UK. 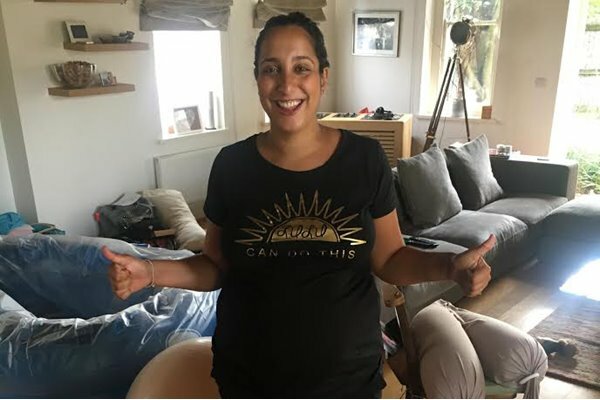 Being surrounded by these women and their positive birth experiences really made me wish to go for ‘the whole thing’, I wanted to feel it all, I wanted to follow my intuition at all times, to take my time and I wanted to be left alone with my partner and minimise the possibility of having unnecessary interventions. 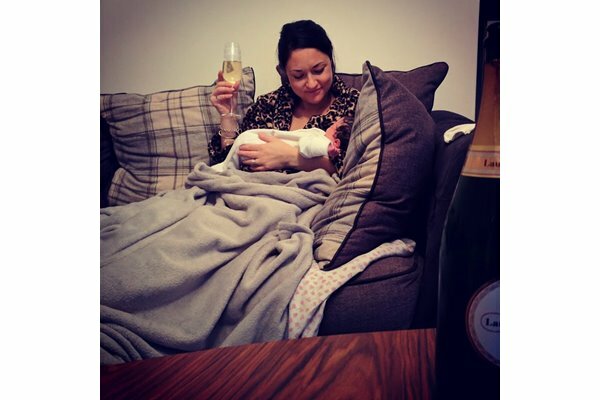 I was also convinced this was the best start in life I could give to my child, being born in a relaxed environment, having uninterrupted cuddling/breastfeeding time after birth, taking our time to get to know each other and make our own decisions as parents. had lots of energy, so I cleaned the kitchen and then at 10am, I went to a yoga class, and my husband took our three year old daughter to soft play. 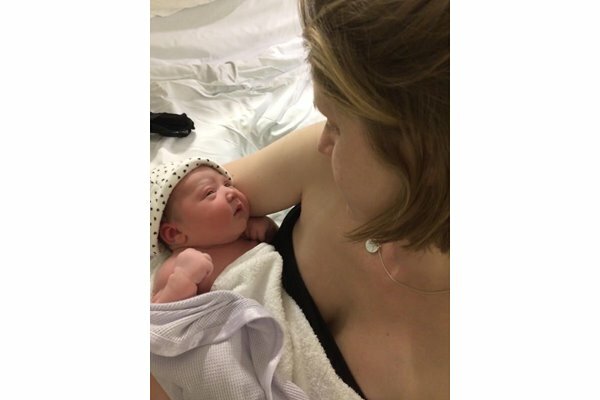 I am so incredibly grateful to Tell Me A Good Birth Story and the three wonderful ladies who shared their experiences with me in the build up to my second daughter's birth. I think it's safe to say my first daughter's birth was quite a difficult experience. I'd had to be induced because I had gestational diabetes; a lot of things went wrong and we ended up requiring pretty much every intervention in the book. 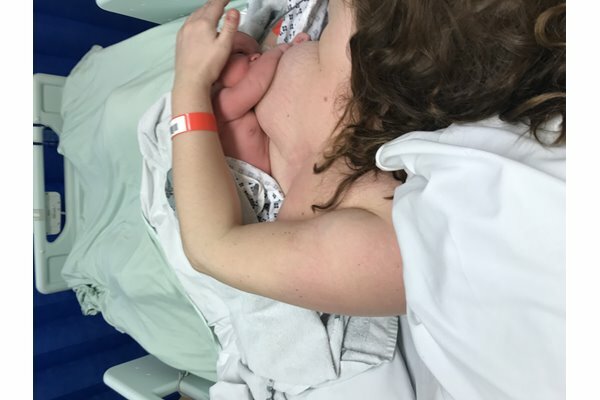 Thankfully, my daughter and I were both okay in the end but when it came to facing giving birth again, I was gripped by real fear. 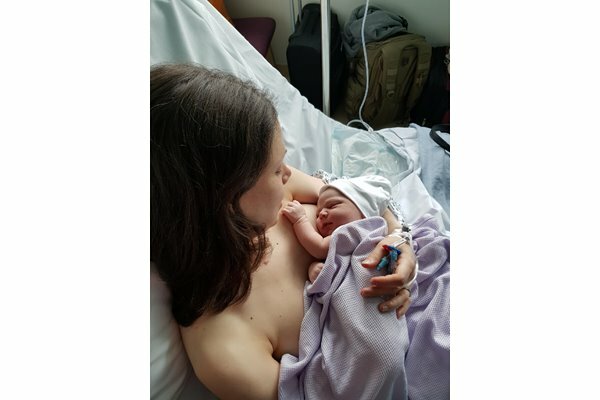 I knew it wasn't rational but I simply couldn’t imagine the second labour playing out differently to the first - and yet I also knew that this fear was potentially the biggest block to achieving the more positive birth I longed for. 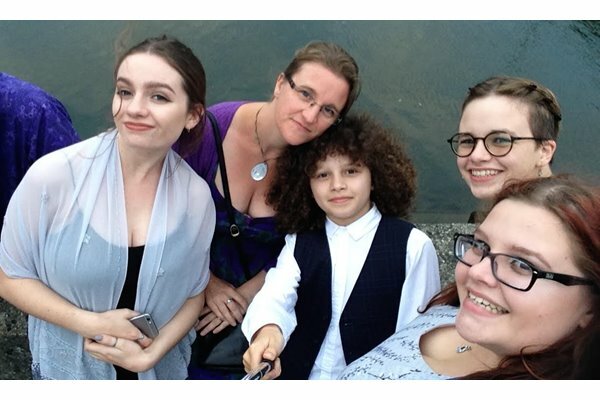 During my pregnancy with my first daughter, Serena, I was diagnosed with gestational diabetes, which I now understand was a mistake, as the third blood test for the GTT was taken almost half an hour early causing that result to be high. My first child was breech and born by planned caesarean section. It wasn’t the birth I had hoped for so second time around I was excited at the prospect of experiencing contractions and going into labour. I’d been very uncomfortable and having waves a few days before with some pinky mucus when going to the toilet. 1am Tuesday morning I felt a wave that was painful and woke me up. I had had period-like cramps on and off in the weeks running up to the birth. I didn’t have those with my first son, and felt number 2 was on his way earlier than scheduled. I had my son Tom in the Midwife led unit at Queen Charlotte's. While my early phase labour was long the birth itself was hugely positive. 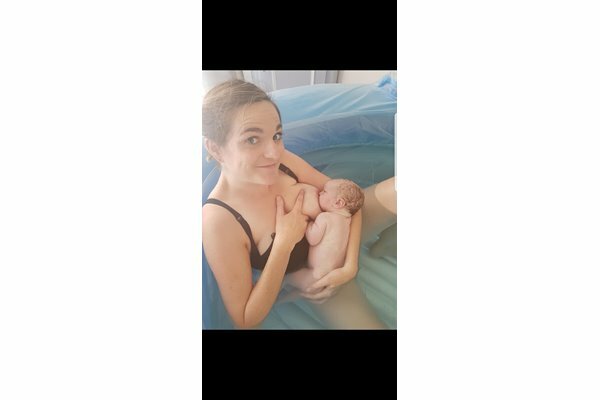 I'm never quite sure whether it's my birth story or Everley's as she really was the one who was born. On the day my 8lb 1oz baby girl came into the world she took us (well most people) by surprise. One thing I have learnt through my work is how strong a Mother’s intuition is. Monday evening 10.30pm I felt a pop in my groin. With my first birth I can’t remember my waters breaking so didn’t know the sensation...so I googled..as you do! I had had lots of Braxton Hicks for two weeks so I thought she’d be early. 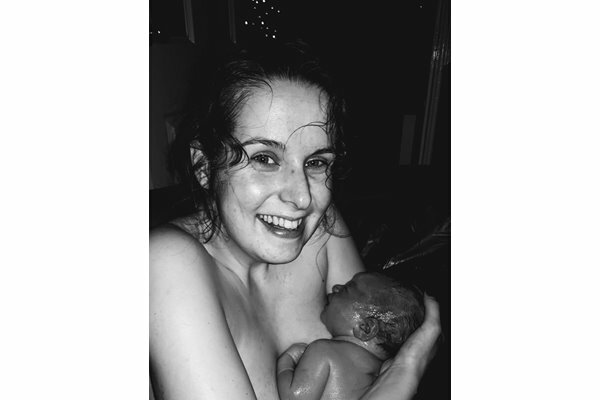 We found out I was pregnant quite early on this time (February 2015) and by 8 weeks we had met and hired our independent midwife (IM) Annie. She came highly recommended through our school community and had 35 years of midwifery experience to offer. 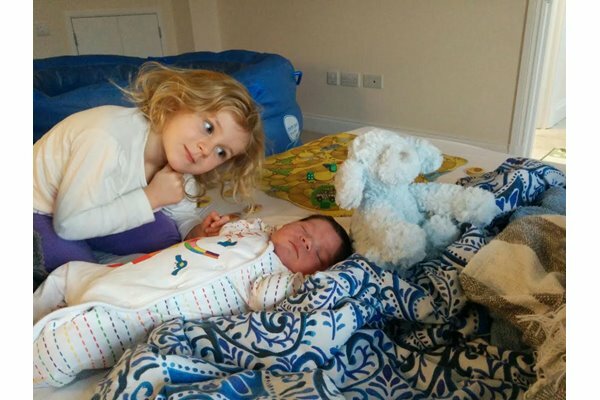 Amelie was seven at this point and had been asking for a sibling for at least two years! 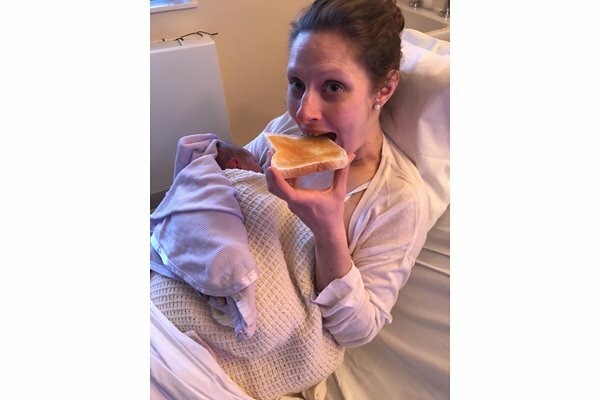 I delivered my daughter Hannah by emergency c-section in 2016 and although I don’t consider her birth a negative experience (I dilated quickly and felt completely calm and at peace in theatre), it did leave me feeling slightly apprehensive when I fell pregnant again in 2017 as I worried I was unable to give birth naturally. When I first got pregnant I was totally convinced I'd either have a c section or at the very least an epidural. 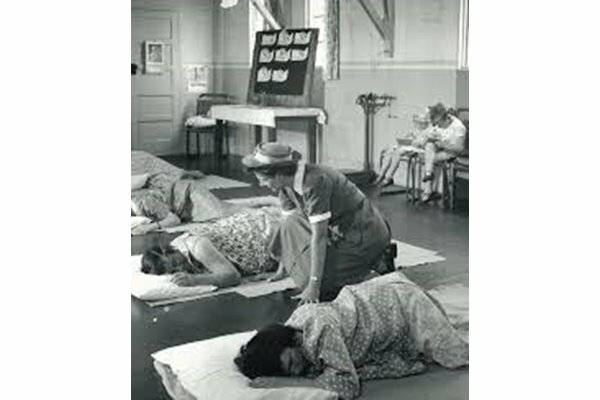 I went to my first birth class on the wonderful NHS when I was about 8 weeks. I found out a few of my options in terms of where I could give birth and the type of medication available. As the proud owner of 'childbearing hips', I'd never considered the possibility of an assisted birth...surely my baby would just glide out, right? 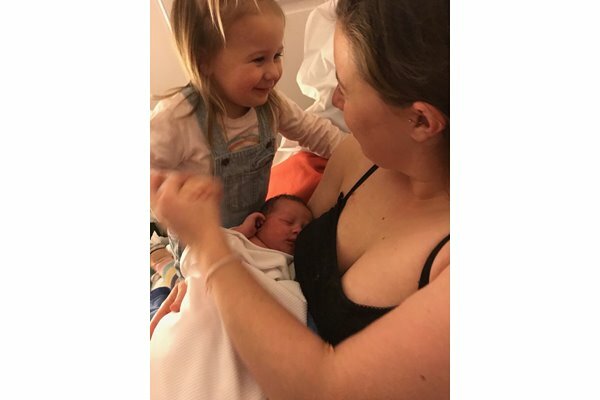 I'm 35 years old, I recently had my second daughter Imogen three weeks ago, my first daughter Olivia was born just over two years ago. This was my first pregnancy and I went into it by doing what I often doing when heading into something unknown - by reading and researching as much as possible. I found out about the the importance of being in a calm and comfortable place to give birth. As well as realising it would help the birth by encouraging oxytocin to flow, I knew being in my own calm space would also help with the anxiety I can experience. I felt giving birth at home would be a good environment, all the while that was working for us. 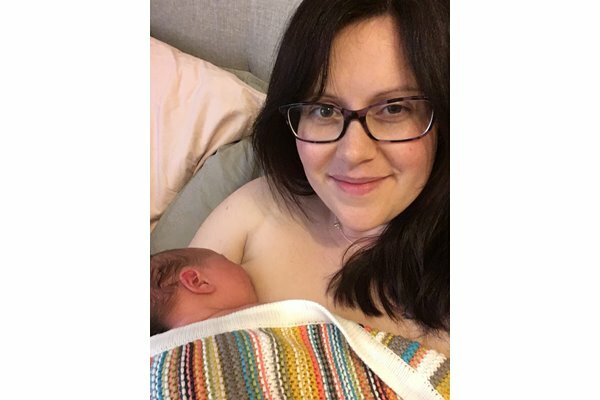 I can vividly remember having a moment of quiet before the pushing stage and thinking to myself “I might actually be one of those people who gets to say she has had a positive birth story”. Now, I may have spoken too soon there as things then started to go a little awry but I maintain that, overall, I did have a ‘good’ birth experience. It was around 6am on a Sunday morning that I suddenly woke and realised my waters had broken. This was after only three hours of sleepas I had been up half the night reading a baby book (obviously!) and five days before the estimated due date. How will I know I am in labour? The ways this question usually gets answered leave women out of the loop. Definitions offered are misleading at best, disempowering at worst - and so so often, result in feelings of confusion and uncertainty. On the day itself, a kind of helplessness. Everyone told us the chances are our baby will come later than the due date, so I was counting on having at least two, if not five weeks of good rest and eating biscuits at home. But our little Sophia decided to make an appearance at 37 weeks + 2 days, just narrowly qualifying for the home birth we were planning. It's hard in our mostly secular culture to understand or believe that birth bestows gifts of deep knowing and awareness on a labouring mother. 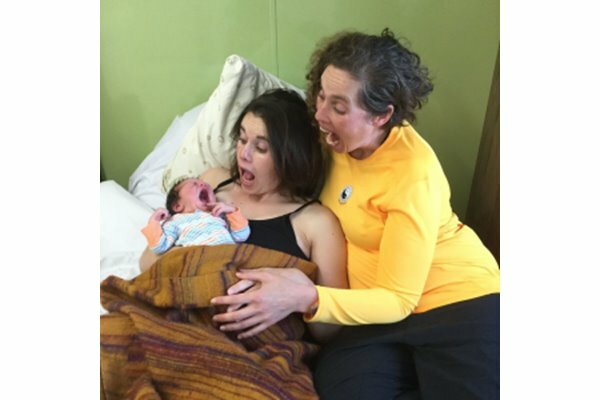 I recently crossed paths with an extraordinary Russian doula and she talked of this moment. How we know it and see it and even feel it as doulas, by simply holding the mother's hand in just that second, when the full force of life itself tips over and down through the mother's body. At your 41 week appointment or sometimes even earlier, you are likely to be told that you need to be booked in for an induction because going passed your due date increases the risk to your baby. On the morning of Saturday 18thAugust Erica, my midwife, came to visit us. 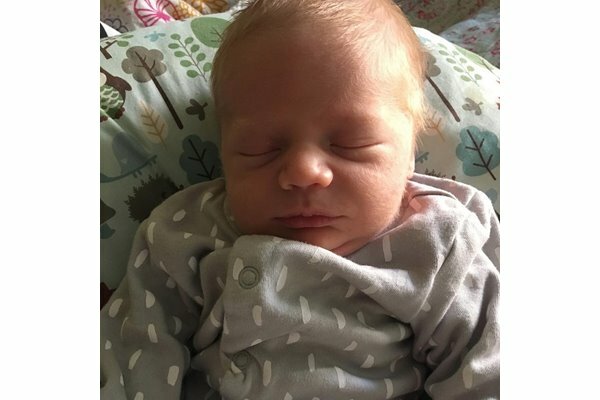 I was 10 days post due date and the anxiety around induction and the tough choices that needed to be made had been building since my 40 week appointment. You'd think, wouldn't you, that a mother would feel a bit the worse for wear after three days of intense and erratic labour. 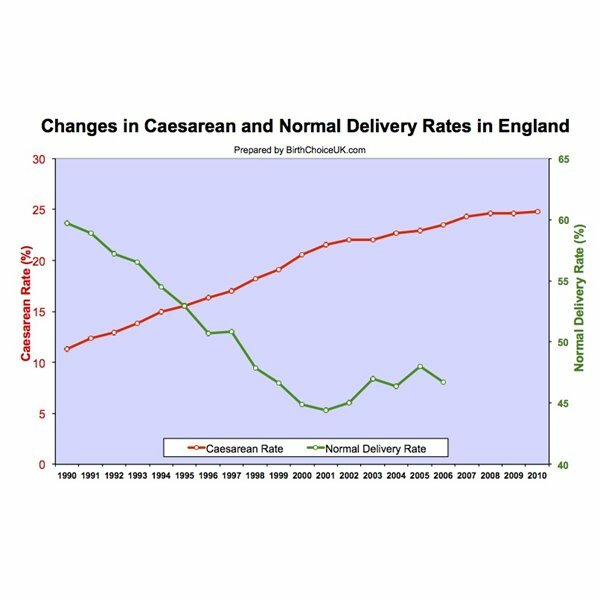 And when it arrives at a point, where the only way to go is a caesarean, distressed maybe. Done in. 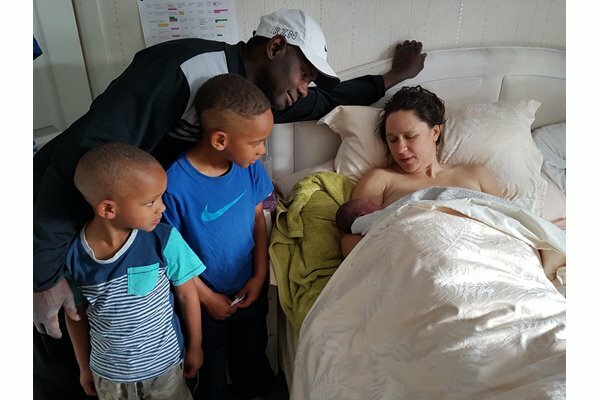 To prepare for the birth of our first baby my husband Geoff and I went on a hypnobirthing course and the resulting birth was such a formative experience it spurred me on to train as a KG hypnobirthing teacher. During my teacher training I found out I was pregnant again. How’s that for timing?! Christmas 2017 my training was put to the ultimate test with the birth of Betsy. What follows is a story which could have been very different, but thankfully the stars aligned. When a woman decides not to breastfeed, there is no need, at all, to justify that decision. It is her body, her baby, and what feels right for her, cannot be wrong. 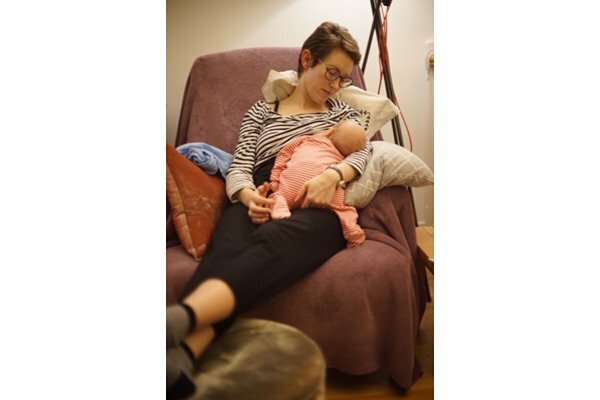 But having that choice made for her, thanks to poor support, or her efforts being undermined by other people, or the general consensus (only 23% of babies in the UK are exclusively breastfed at six weeks) - that is something else altogether. Sometimes birth gets complicated. Truly. Biologically. 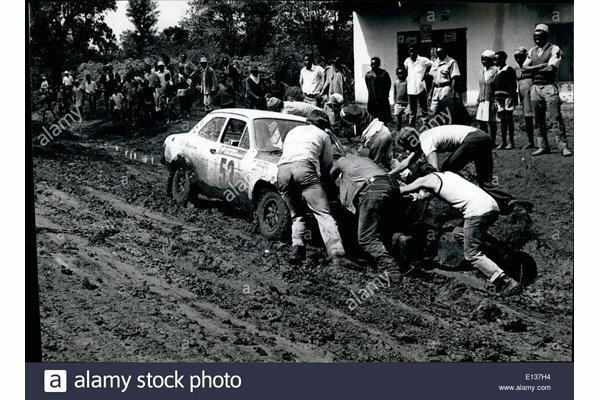 Not because of disturbance or less-than-ideal-conditions. Contractions can slow and stall, or alter in feeling, leaving the mother despondent and even desperate - and the most usual cause for this is the baby's position. Whether magazine, tv or radio, the messages that get pumped out are universally negative and. usually misleading. I was at a birth at the weekend where progress was hard to read. 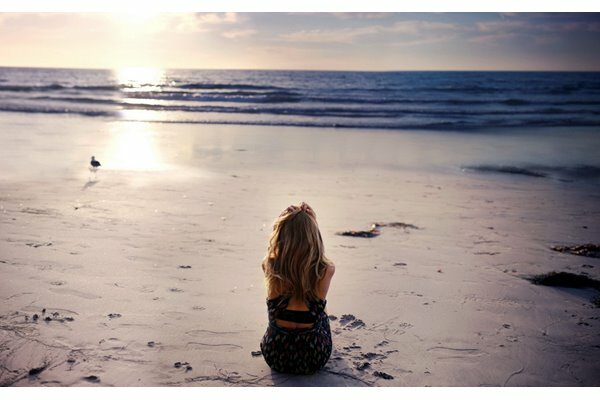 There'd been no vaginal examinations as there'd been no need - the mother could feel the changes for herself but the contractions themselves were confusing - seemingly short and uncoordinated - and to the eye and ear, nothing altered for some time. 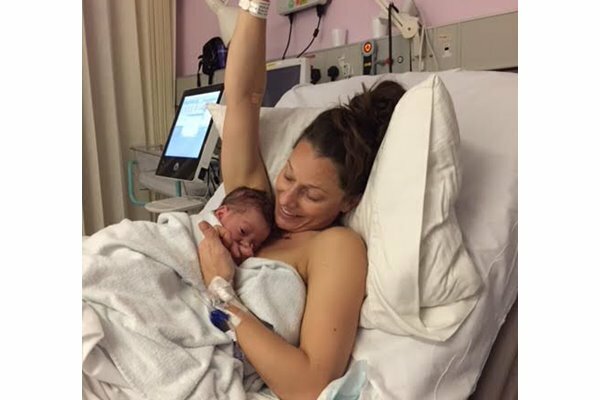 When I was pregnant and used to get asked at which hospital I was going to give birth, I would tell people I intended to give birth at home and the response was always the same – you are so brave. But my reply was always – I think you are so brave. 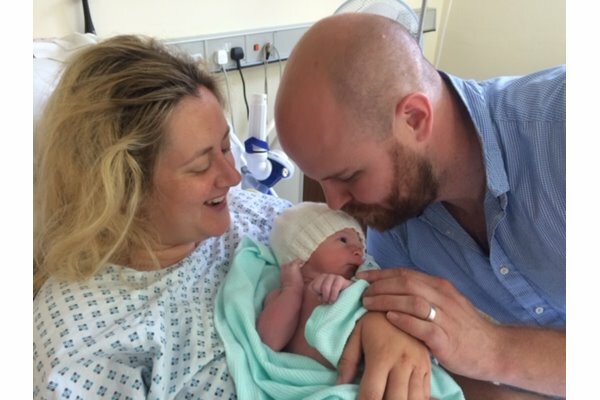 To me hospital, where there was so little chance of me getting what I needed to give birth, felt like the more frightening option. 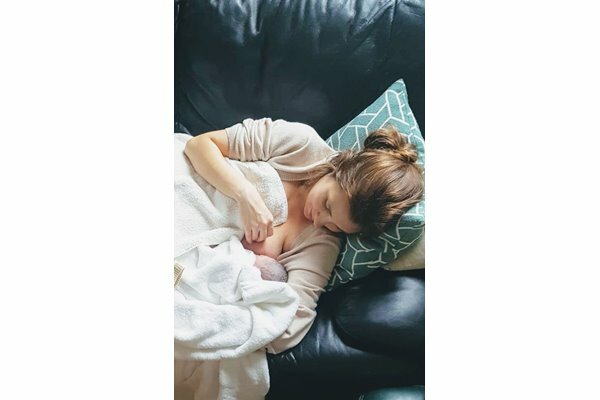 I wanted to share my birth story as not only over the course of this pregnancy, but also my previous four I found reading other people’s birth stories really helped to empower me to have faith in my body and the decisions that I was making, particularly as my pregnancy continued, and continued to continue until way, way past my estimated due date. 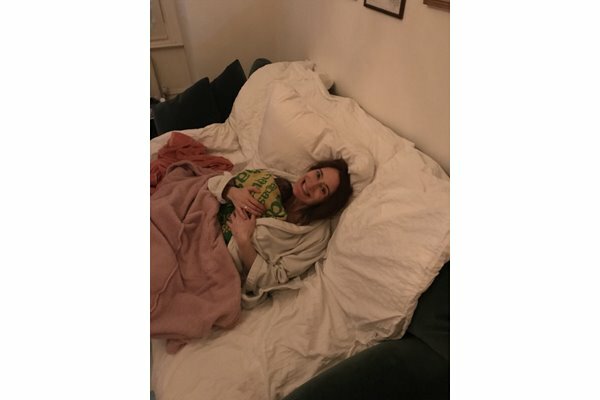 On Saturday 24thMarch I felt heavy and sick and couldn’t get out of bed. 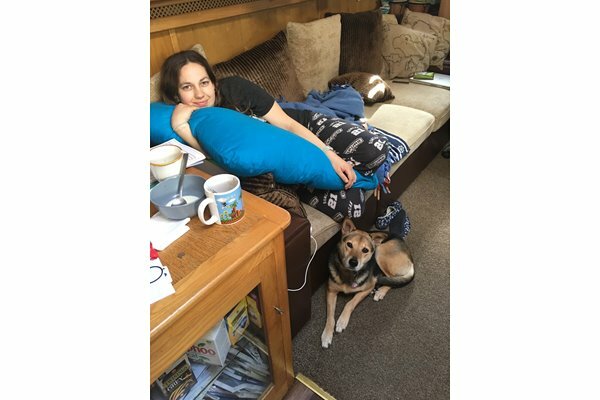 I had a feeling this was my body’s way of getting me prepared for birth - it had to shut down and rest in order for me to have the energy I needed for labour. 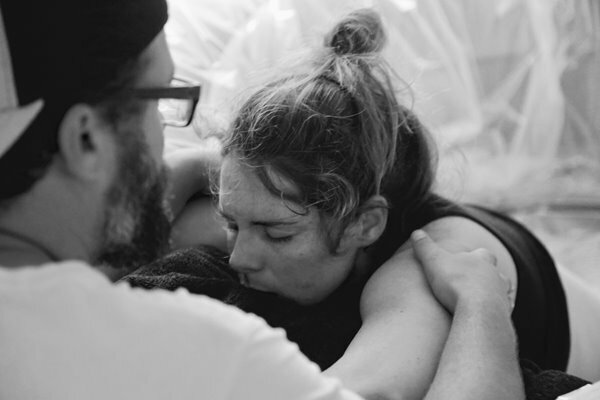 That night at 2am, the contractions started, it felt like period pains, which I remember thinking was strange as I’d not had those kind of twinges in nearly a year. I didn’t do anything as they werent powerful enough for me to be fully awake. Plus I had told myself these could go on for days so it was best to chill and ride them out. 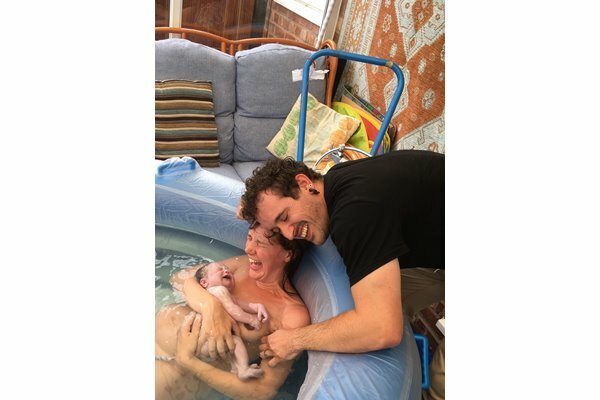 One thing I'd like to share - I'd loved the idea of giving birth in the spa-like birthing suite, but as I was being induced that wasn't an option. 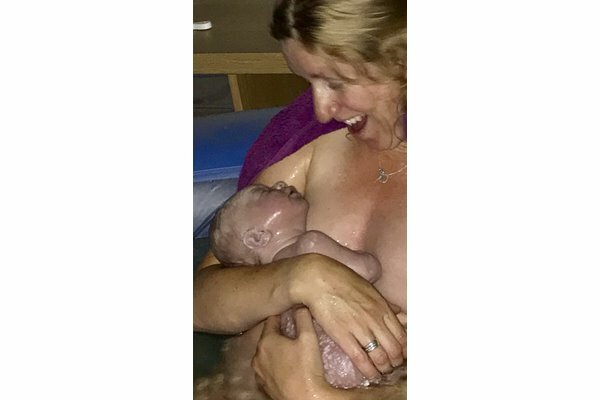 But having gone through the experience I can honestly say birth was so intense and internalised, I didn't have any concern for where I was or any sense it was impacting on my mood and I ended up giving birth in a weird overspill room with all the lights on! So, if you are facing the same situation, don't panic, your body and you, can absolutely do it!! Rory is now 2 weeks old, feeding well and putting on lots of weight. 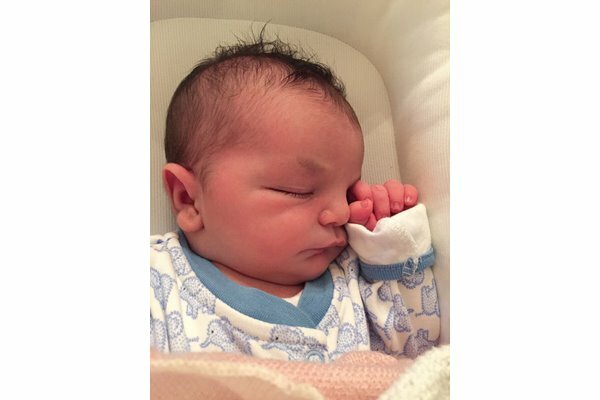 He arrived at 41 weeks and a few days. The birth was a bit dramatic but all fine in the end. We went in to the hospital in the morning with very intense and painful contractions but minimal dilation. I had some pethidine at that point and it really helped. 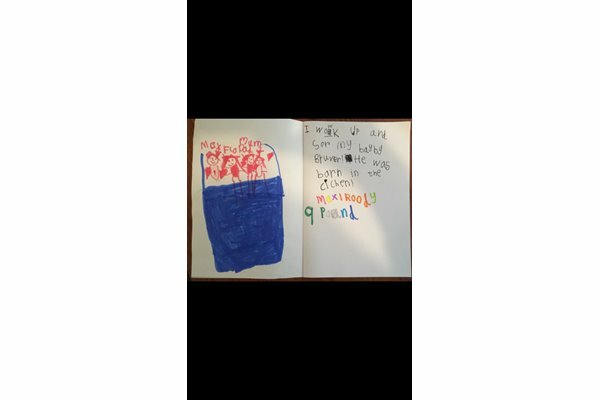 As I wasn’t in active labour, and they needed my bed, I was sent home early evening. I hate the feeling of going into labour - the early stage, when things are just gearing up. I much prefer active labour and in fact welcome it. When a mother arrives in hospital and is contracting, a vaginal examination is offered as standard. Midwives depend on the information gathered - how dilated the cervix is found to be - as a reliable measure of progress. Gravity is always a great advantage in labour. The baby can more easily move down and contractions are more powerful when your body and baby are working together, in the same direction. I have given birth twice, most recently 8 weeks ago, at home. My first was at a midwife- led unit, but for both births I was in water, and I have positive memories of each one. 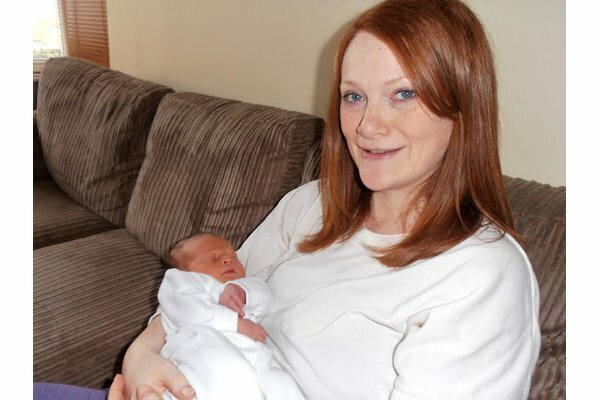 For me I knew I was in labour because of having very strong contractions. I would describe them as very strong cramps that increase in intensity and then fade. My waters broke with an undramatic trickle on Monday evening at the cinema, but contractions didn’t start. I went to bed expecting them to get under way during the night, but I woke up the following morning after a long sleep, refreshed, but without any change. All of this is precious and personal and part of me wanted to not share it and keep the whole experience secret and sacred. But I don’t want to be part of the hushed perfect picture of birth/motherhood. Birth is absolutely amazing and not talking about the details and process is missing out half the joy! My first born was born at 35 weeks. So I was nervous and relieved to get past 35 weeks in this pregnancy and delighted to get to 37 weeks. I had convinced myself that JoJo would be born around 37 weeks so by the time I got to my due date I’d been waiting over a month and was really wondering if/when my body would kick start labour. Tues 27th: Packed orders at barn after ridiculous bank holiday sale, had lots of strong Braxton hicks, think turning to proper contractions later in the day. Timed at about 10-13 mins apart. Continued at home and got stronger through the night. Took forever to get to sleep and had to breathe through contractions and keep swapping sides to be comfy. 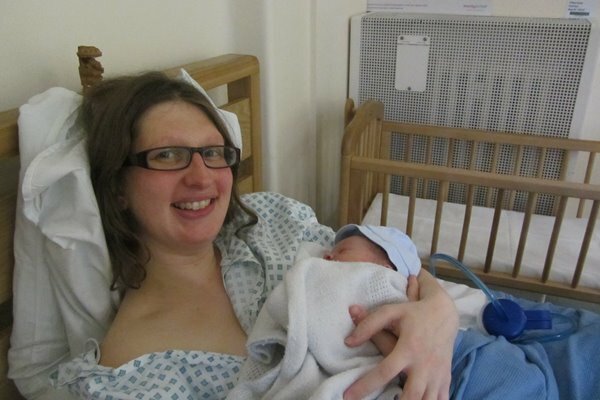 My first child, my daughter, was born in a midwifery led unit in 2012 and all went well. Admittedly my labour lasted a very long time and hospitals make me very anxious (the likely reason for said length!). But at that time I didn’t have the courage to request a home birth...it felt so culturally “swimming upstream” even though in my heart it felt right for me. 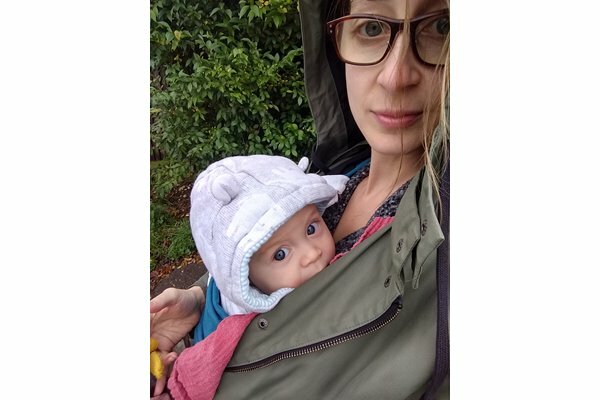 When I fell pregnant with my second (which took a long time so we were so very happy when it happened) I knew I wanted a VBAC. 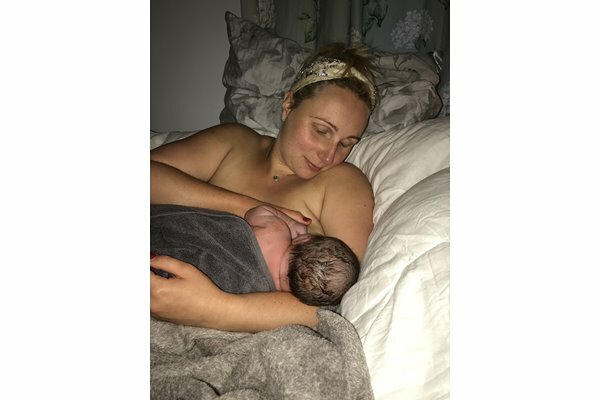 I assumed it would be in hospital but through a series of interactions I signed up with my local home birth team, probably the best decision I made. Evie’s labour, the first, was 5 hours start to finish. I went into labour as I was going to bed one night, at 40+3. Progressed very quickly, despite protests from my mum that first births tend to take a lot longer. She was born 6lb12 and I thoroughly enjoyed the whole experience. It was calm, I had my partner and mum there too, as well as my sister and brother asleep upstairs. I got to eat and drink when I felt like it and felt comfy in my own home. Straight after we weighed her and she had her first feed, I had a shower and we all went to bed. It was such an amazing experience, my birth, but at the same time so ordinary. Everything felt so normal except that I was giving birth. But then giving birth is normal isn't it? That’s one of the great things women can do...we birth babies and then time carries on. 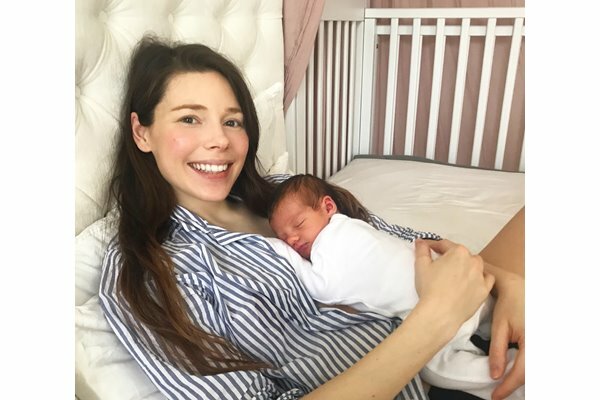 I'm so pleased to be able to share the story of my beautiful second baby's birth. 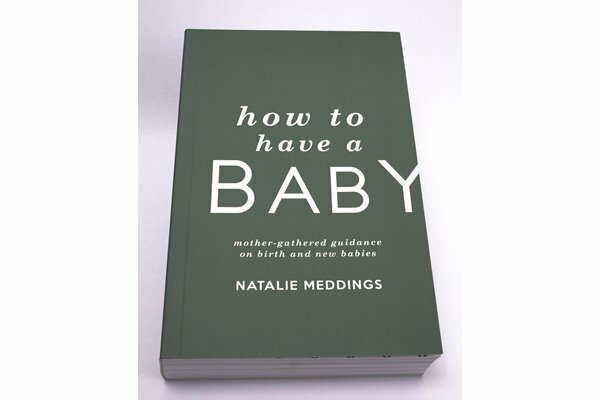 I hope it will help any second time mums who are worried about giving birth again. 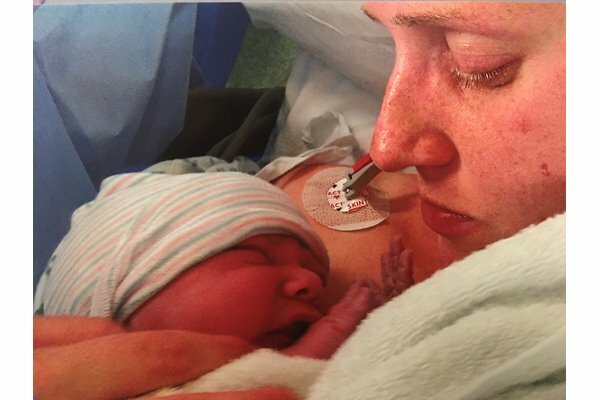 My first baby's birth was a traumatic experience for all involved. 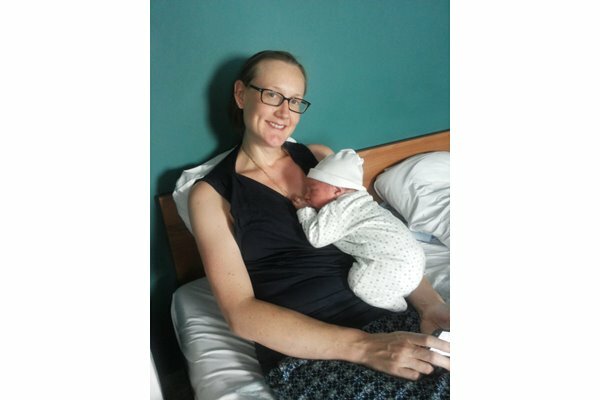 After a lovely straightforward pregnancy, I was induced at 40+12 due to being "overdue" (although I realised as I was preparing for my second birth that this is still a normal length for a pregnancy!) 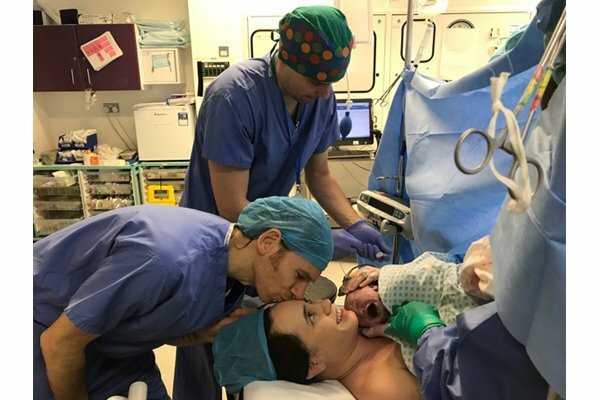 My first birth ended up being very medicalised and a million miles from what I had hoped for. A favouri­te during these midni­ght early labour surg­es was the polar bear­ position, face down on the bed with bum i­n the air swaying fro­m side to side, it se­emed to relieve, or wo­rk alongside the fee­lings I was experienc­ing. 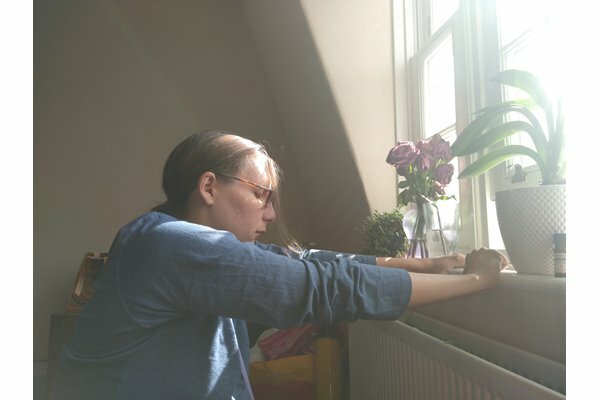 I think I always­ knew it wasn't full labour beginning, but the pressure of wanti­ng to be in our own s­pace before the birth di­d have me panicking t­hat these feelings we­re the real deal and that the baby was coming before we were ready. 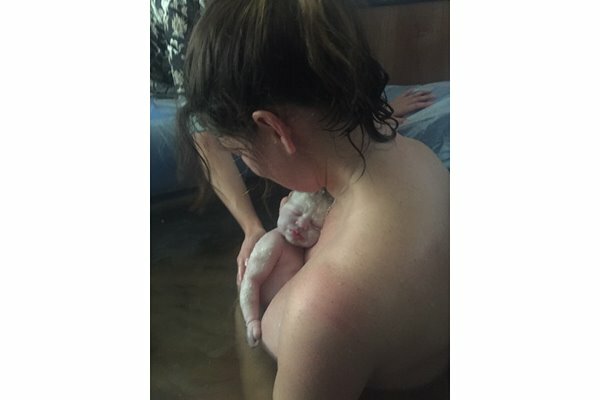 She was placed on my chest and we stayed together in the warm water for sometime before my husband cut the umbilical cord. We got out and were carefully guided to the sofa which was protected with towels. Matilda had her first of many feeds on the sofa meanwhile Carly delivered my placenta and checked me for tears. Fortunately I didn't need any stitches and I was ready for tea and toast while Carly and Lizzie wrote up my notes. I had a very positive first labour in a midwife led unit 2 years ago, after attending a face-to-face hypnobirthing course. 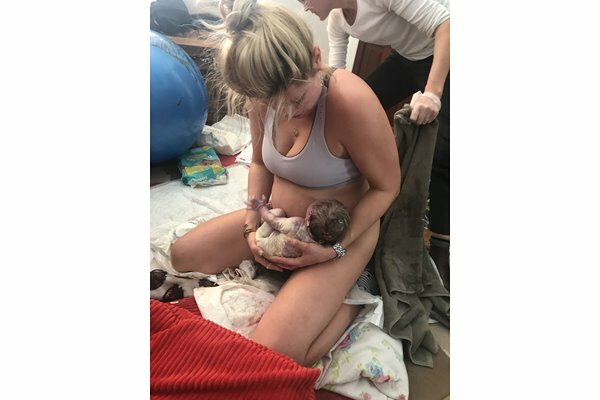 This time I did a digital course as a refresher (the positive birth company) and it was one of the main reasons I started to consider a homebirth this time around. One of the best decisions I’ve ever made. I am mother to four children. My first son was born in hospital and the subsequent three were born at home, in water. 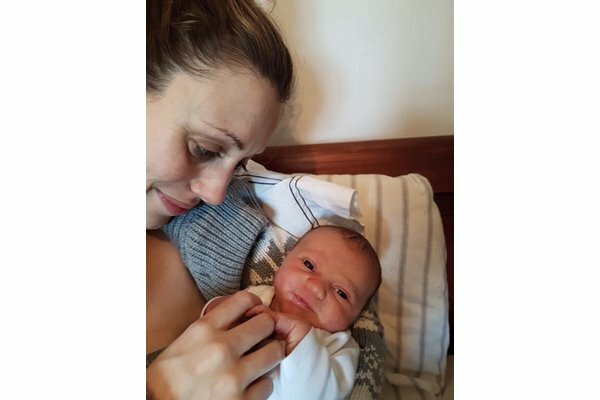 In this birth story I am going to talk about my most recent birth because it’s the closest to my personal ideal of birth and the preparation and planning came about as a culmination of my previous experiences. These four pictures show me and my four babies, born in 2005, 2007, 2010 and 2012. 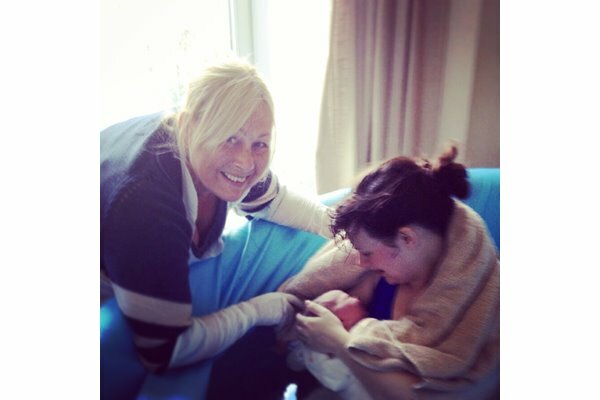 I have had 3 home water births with amazing midwives by my side each time. 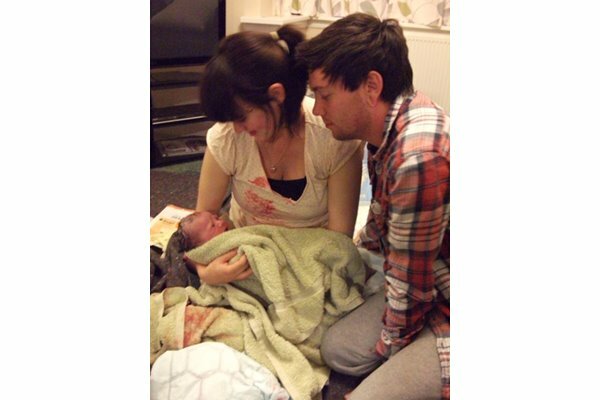 My first home birth, I did a lot of research, lots of documentaries and such to prepare. 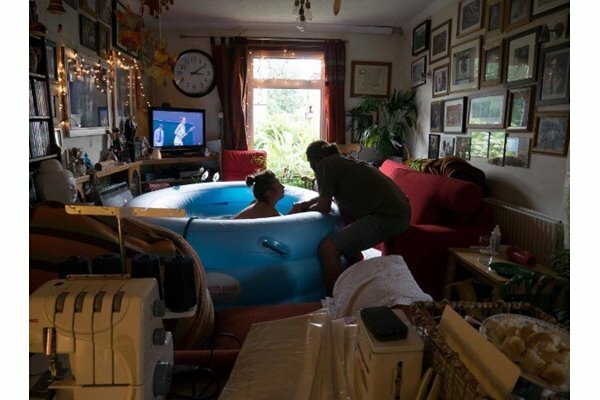 I rented a birthing tub from a local doula, we set it up in our living room (just under the window air conditioner) as I was due in mid-August. My daughter Olivia Rose was born at home as planned. 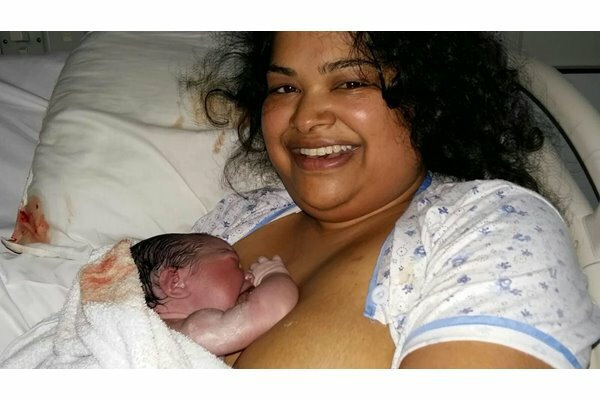 From the very beginning I knew I wanted a homebirth. I knew that would be where I would feel most comfortable and in control. I wanted it to be as peaceful as possible, no interventions, no unnecessary examinations and no time pressure. I prepared by keeping fit and active and using the Gentlebirth app throughout my pregnancy. I am very blessed to have given birth to 3 beautiful boys. Each birth has been different in its own ways, but all really positive experiences and pretty straight forward too. Nino was born 5 days after his due date. 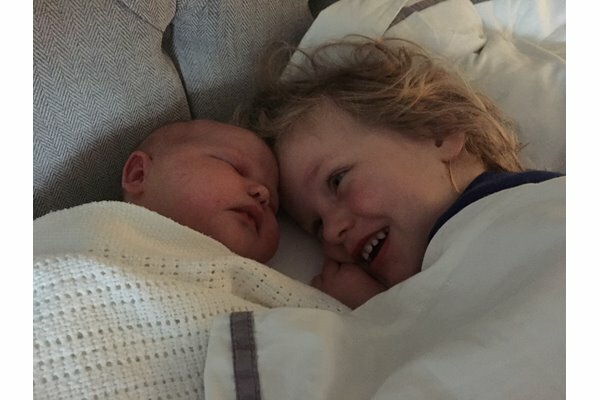 I’d also gone into labour at 40+5 with my first baby (although due to a long labour she was born at 41 weeks) so I felt like I’d known he’d come that day. First time around was not a positive experience and I was very conscious of trying to ensure things were different this time, though also aware that some things would be out of my control. 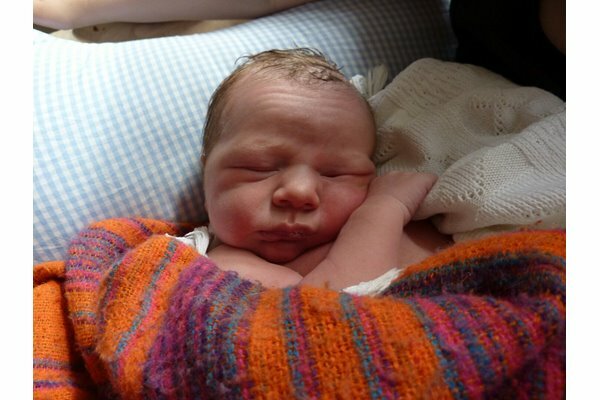 At 7.20am the doorbell went and Simon went to greet my midwife Joy. I could hear them talking in the hallway. ‘Why isn’t she coming to see me?’ I thought, immediately followed by the thought and reminder that she wasn’t coming to see me because everything was fine. I felt so relaxed. So safe. So calm. "He has a huge head," were the words that set the tone for the second half of my easy low-risk pregnancy. 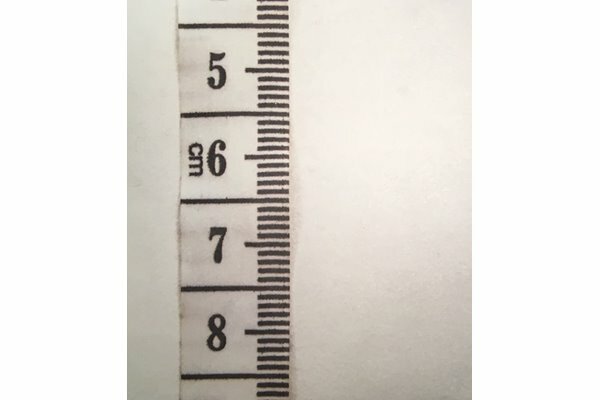 The sonographer who said this hadn't meant to cause alarm and who knows how much alarm was appropriate from this measurement of a scan that are notorious for being wildly out of whack with what is actually going on inside the womb. Alice knew, she absolutely could feel for herself that her contractions though powerful weren't productive. She knew what she should have been feeling once labour real was underway because she'd learned about it. Growing change, her baby moving down, increasing pressure and intensity. Most of all a sense of resolution with each wave. And she didn't. 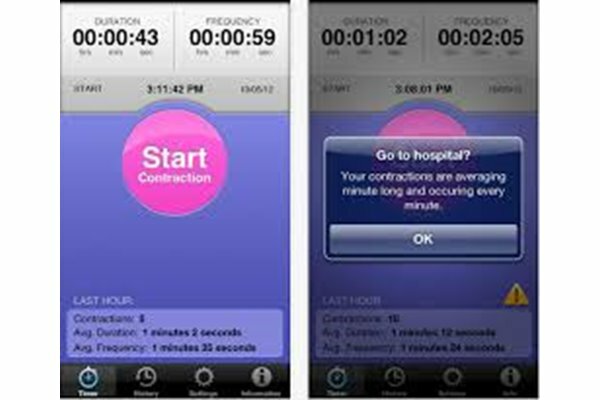 Contraction timers and apps have been around a while. But recently, they've come to feel like a prerequisite. I can understand how they seem like a useful tool, an enabling choice, but I'm counselling caution. Hypnobirthing is a powerful tool. I love the way it installs confidence, helps people to listen to their body, and know many skilled teachers who’ve altered people’s experience of pregnancy and birth entirely. What I‘m not such a fan of is hypnobirthing that uses overly pain-avoidant birth language. 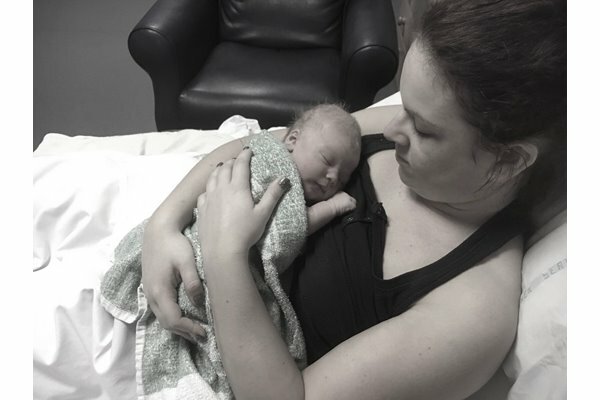 Although I had a really positive c-section (breech presentation) with my son, I was keen to experience labour and go for a vbac second time around. 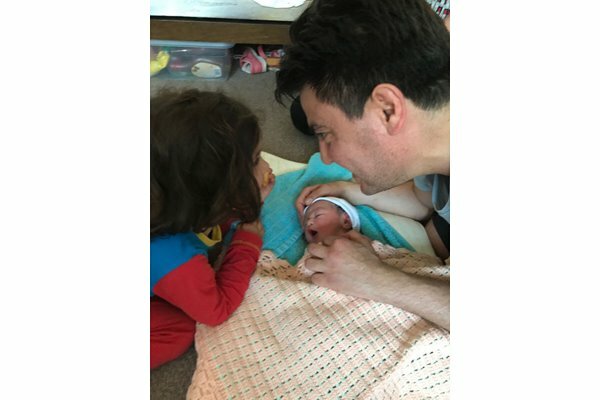 Baby Willow came into the world on 29th March, 2019 at precisely 9.32am. 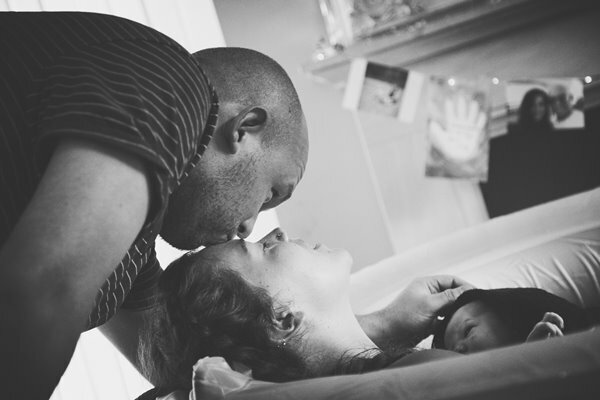 I had the birth I had dreamed of and visualised during my whole pregnancy. 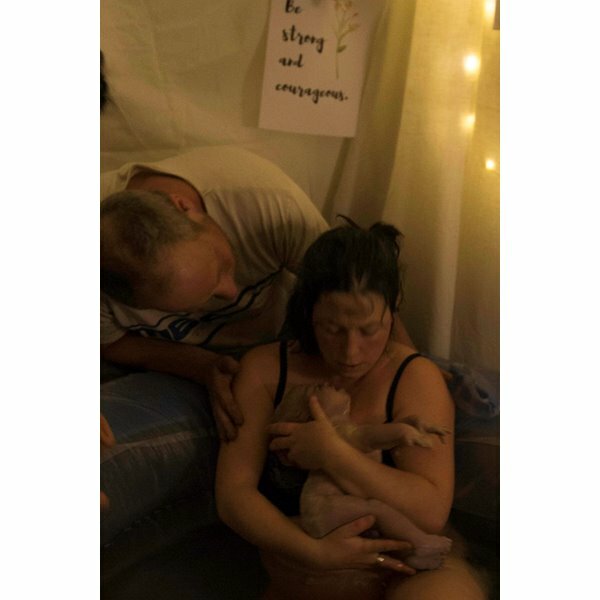 A natural birth in our own home. I felt some surges starting at 11pm on Tuesday 25th July. They were manageable and exciting. I would sometimes go on all fours and other times sort of doze through them and hug my husband Ben. 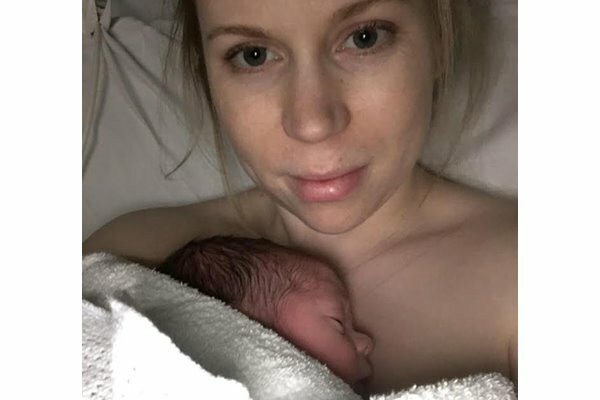 I had a c-section with our first child due to placenta previa and he was rushed straight to neonatal which made for a tough start on the feeding front. Pregnancy number 2 (twins!) and I was determined to make the caesarean a more positive experience. We did lots of preparation beforehand, both mentally and practically. Lots of yoga, breathing techniques and discussions re. music, lavender, and even an eyemask (helping me to rest while we were waiting to go into theatre) so that I was able to feel very calm, and in charge. But what also helped was putting some planning into the feeding this time round. l expressed colostrum in advance and that really saved the day for us. I have always been a planner and organiser. I like to be in control too. As a teacher I thrive on routine and knowing what is coming and when. So in many respects, pregnancy was unknown territory and therefore a challenge for me. Consequently I decided to take matters in to my own hands and learn as much as I could about birth as possible. It helped to remove some of the uncertainty. I didn't do it by reading forums and different books. I did it in a more hands-on way, by attending a weekly yoga and birth preparation class where I met friends and my future doula. 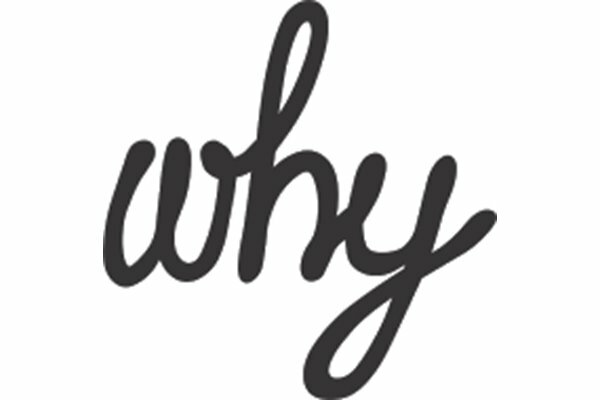 Feeling my way towards what I needed to know felt a lot more useful and practical than reading and learning facts. On the day before my due date my Mum and Dad came to London for the day to give me a hand with Grace my two year old. We had a lovely day and walked along the river in Richmond in the sun. 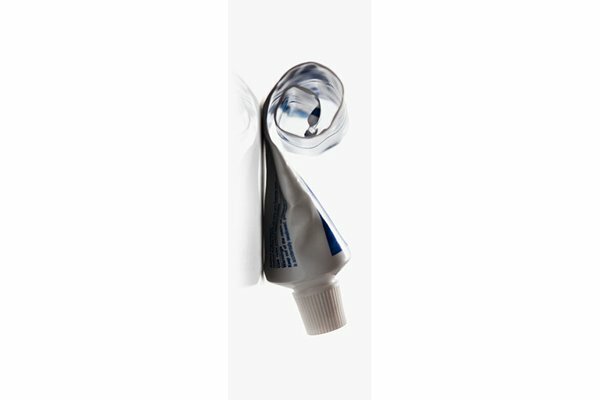 It was quite a way and that evening I had some slightly more painful tightenings – I had had these for about 8 weeks but they felt a little different. 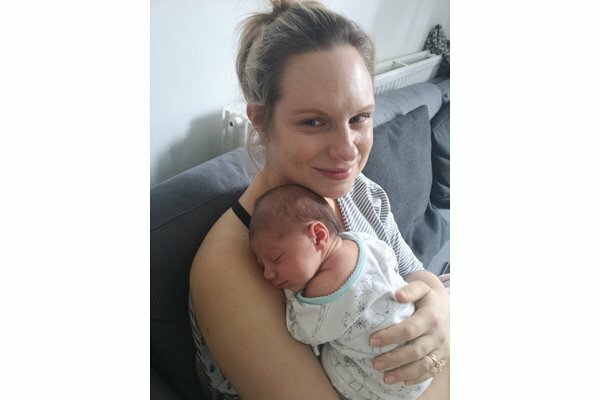 Little man was due to be born on the 25th September, and like any new expectant mummy I spent a good chunk of my pregnancy wondering what labour would be like. I asked endless amounts of people what I should expect when the big day arrives and of course I was told a fair share of horror stories, so I prepared myself for the worst. I was never very nervous about giving birth, I don't believe there's any point worrying about the inevitable. If you're facing a situation that's going to happen whether you worry about it or not, surely it's best to just go with it! When I found out I was pregnant I expected the next 8 months to be filled with joy. I thought I would feel great. After having morning sickness everyday, sciatica, growth scans and prenatal depression, coming up to my due date I was more than ready for this baby to arrive. But that didn't mean I wasn't anxious about it. Saturday 25th November at 3:15pm I started having what I thought were Braxton Hicks contractions. Cut to 5 hours later I started to realise they weren't just a practice. The maternity unit was over an hour away from my house so I phoned them as soon as I realised. Tthey advised me to wait until my contractions were more regular. My daughter Megan was born really quickly. The midwife, a lovely lady called Sally, transformed the experience from one of anxiety and uncertainty, to one of confidence and calm. What did she do? She trusted my body to do what it needed to do, even when I did not. She booked me in, made sure I had everything I wanted, then she sat down in the corner of the room and said, "You can do this, I will just observe and help if I am needed." When I felt a new sensation or I was uncertain I would tell her, and each time she reassured me and I carried on. 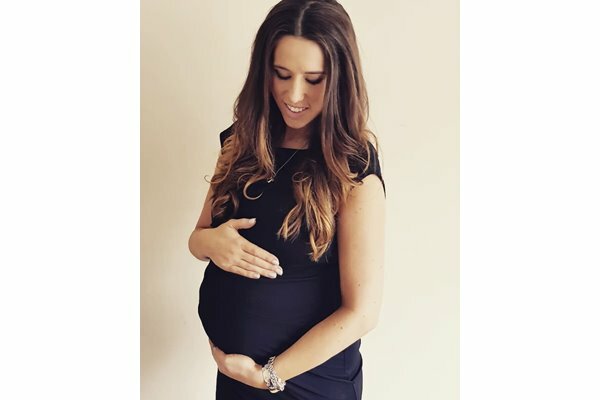 I had always envisaged that I would give birth in water, so when I fell pregnant back in April 2017 I started researching the different options of where to give birth. My sister had successfully had two home water births and this definitely helped influence my decision. I was lucky enough to have a straightforward pregnancy and was deemed to be low risk. I attended hypnobirthing classes and went to yoga weekly and had reflexology towards the end of my pregnancy. I wanted to be in tune with my body and my baby, and have an active pregnancy. I always believed when I gave birth I would need to be induced. My mum had been induced with me and my two siblings and my sister was induced with her three children so I believed it was almost definite that this was the route I would be taking too. 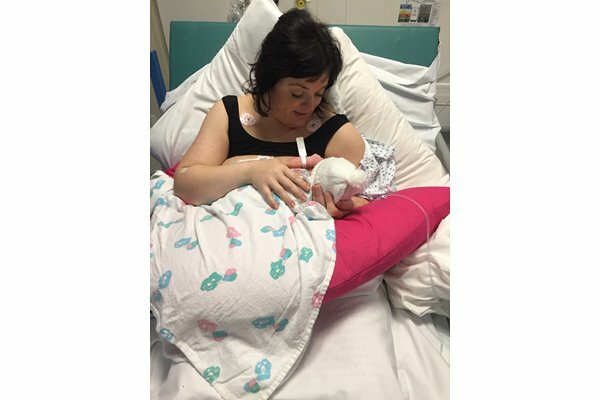 However I was very fearful of having an induction as I had heard that being induced results in the contractions coming on very quickly and the pain being more intense than when labour has started naturally. 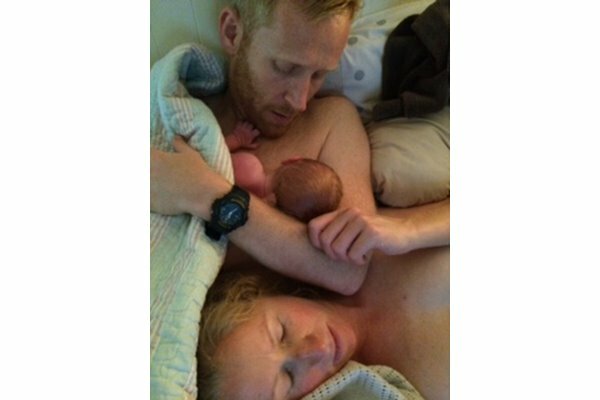 After my first birth I never thought I'd be able to say that I had a 'good birth story'. It felt like a bit of a myth. Surely these people weren't telling the truth? 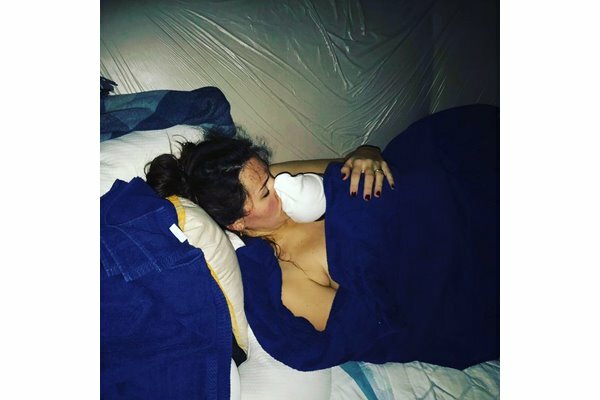 My first birth was a induction at 39+5 which went much along the lines of all other bad induction stories I've heard since. 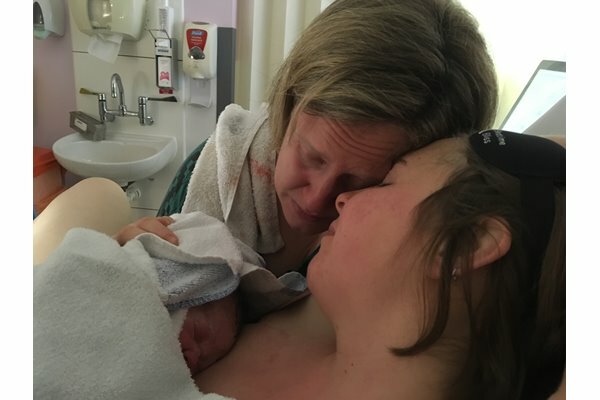 I felt like I was going into hospital to be looked after and my baby would brought into the world in the best way possible. The reality was very different. I was scared, alone, uninformed and taken along the conveyor-belt of the labour ward and then, after a forceps delivery in theatre I faced a long and painful recovery. It took me three years to get myself into a place where I could face doing it again. I knew this time we would have to do something differently. 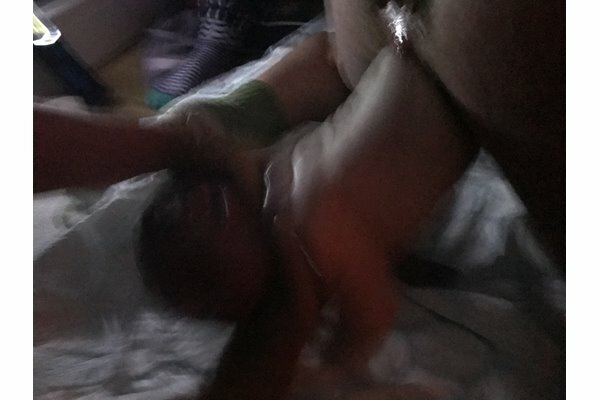 I joined a positive birthing yoga class on a recommendation from a friend and hired a doula. 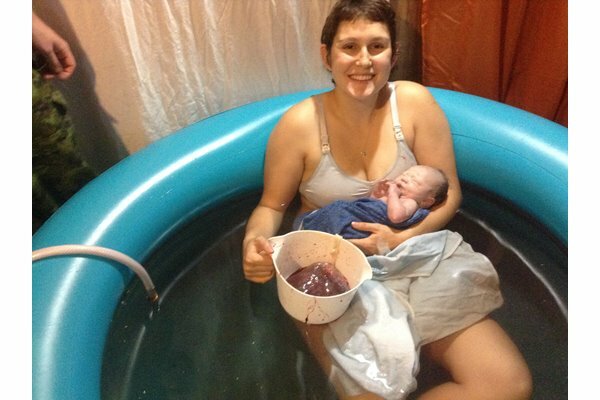 I wanted a home birth originally but my husband was dead set against it. 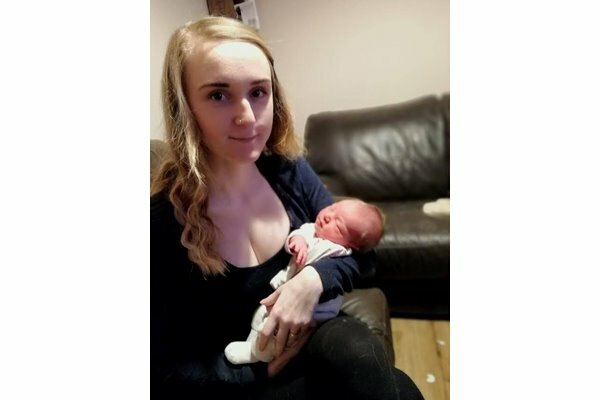 However, he did like the fact that I would have home antenatal appointments with the same midwives, of which two of them would be dedicated to me during my labour. We agreed I would stay at home as long as I was comfortable. Secondly, as loving as my husband is, he was also not willing or ready to be a birth partner for me. This wasn't a big issue for me as I found a doula and immediately connected with her and trusted her as my birth partner. 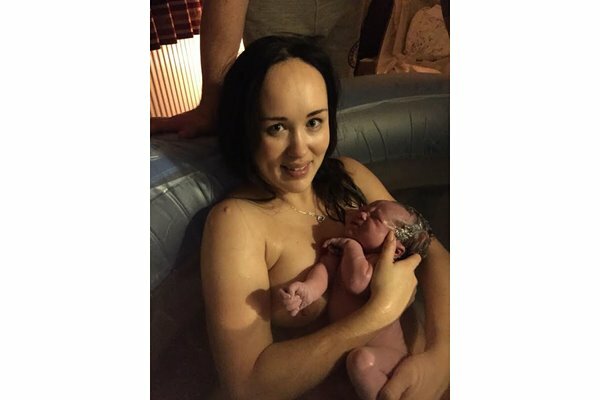 This is my absolute favourite photo as I slept in the birthing pool. 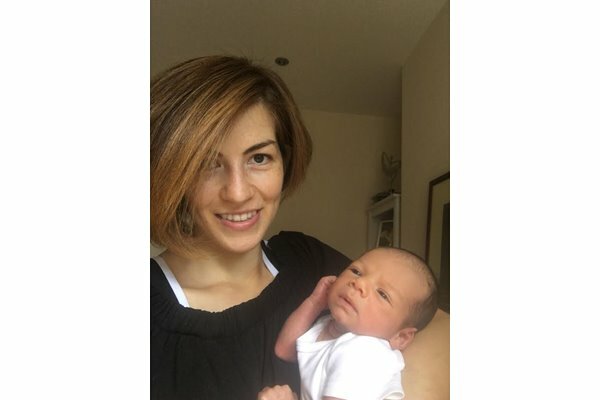 After three years of trying to fall pregnant and 30 weeks of active birth yoga classes, I felt so excited to meet my much longed for baby and to become a Mum. I went into labour naturally at 42 weeks. My labour was around 14 hours, most of which I laboured at home then went into hospital for the delivery. 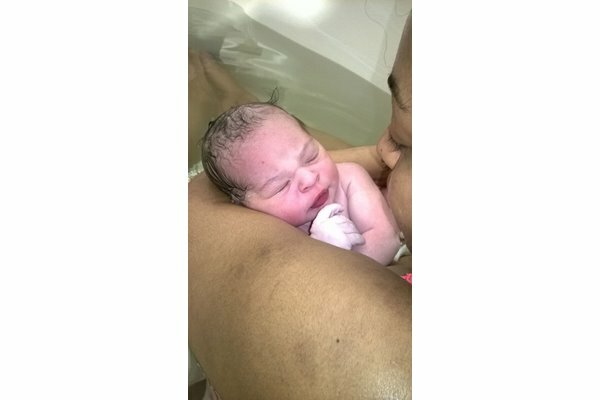 I had the water birth I dreamed of, and breathed my baby out with no gas, drugs or intervention at all. 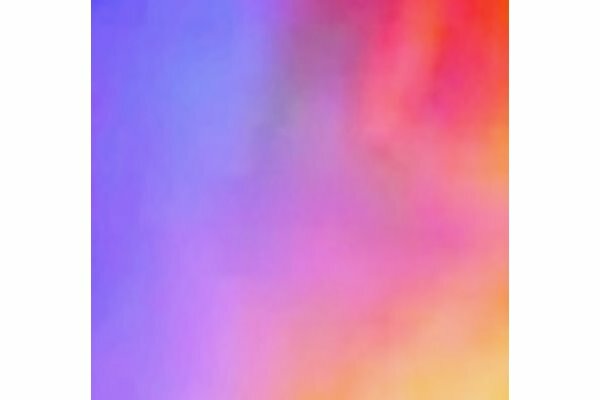 I had written in my birth plan that I was not to be touched or spoken to and this was respected and I felt the strongest and most powerful that I have ever done in my life. 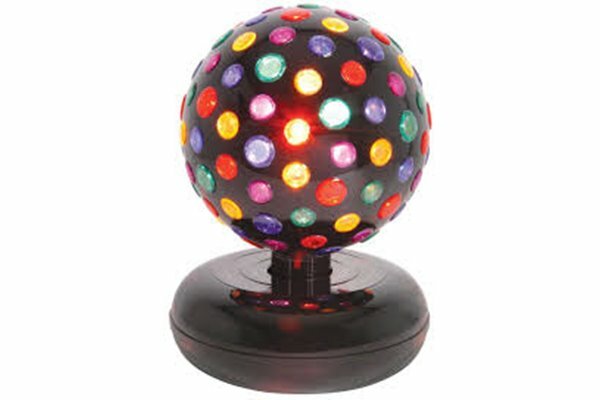 I was totally in control and was doing this like nature intended. My beautiful little girl was born in her amniotic sac weighing in at 8lb 12oz. 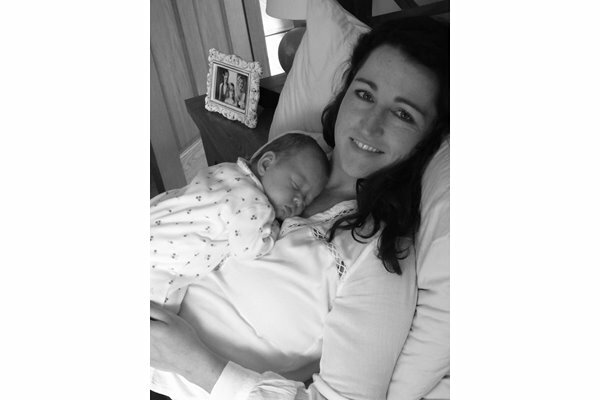 I wasn't necessarily an obvious candidate for a home birth having had a previous caesarean with my first daughter. 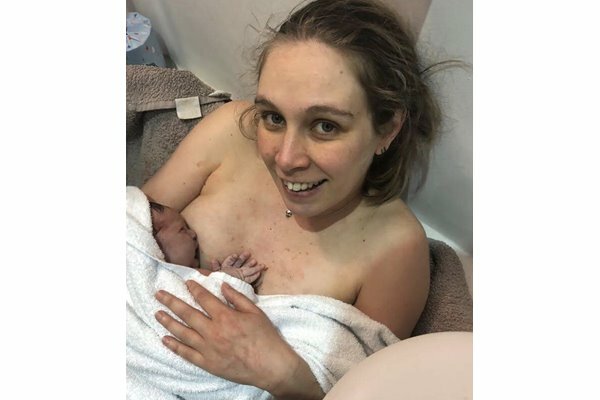 But, the first experience had taught me that my best chance to have a baby would be somewhere I felt comfortable and I wanted to avoid the whole 'when to go into hospital?' conundrum and the fairly hideous car journey to get there in the midst of contractions. 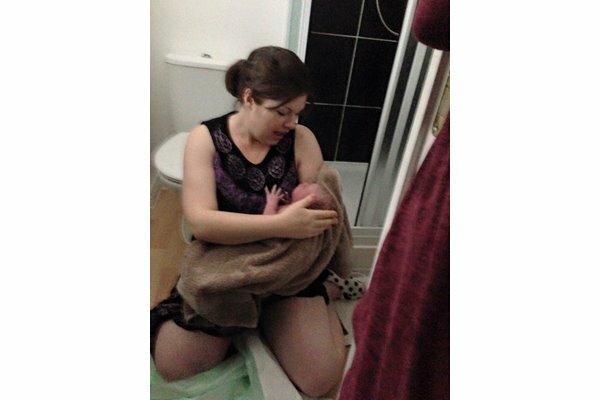 I did lots of my own reading and research to ensure that I felt confident in my decision to have a home birth. I also discussed it - but only with people whose views I trusted and respected. I valued the excellent support and advice from the clinical team at Kingston Hospital. A letter of congratulation to... me. You may not remember the she-woman that you became in the early hours of 26th October 2017... so let me remind you. Hmmm. Ok well - it didn’t quite go as “planned”. 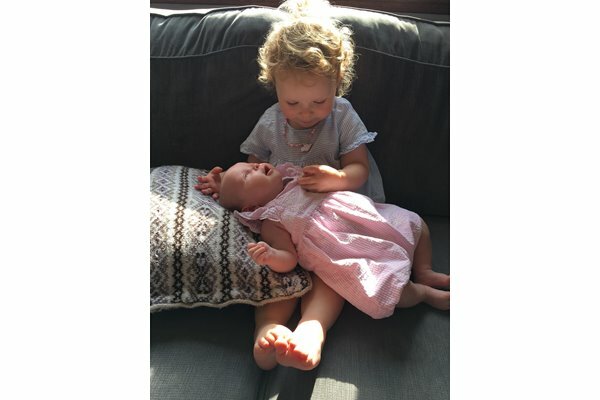 I have never been someone who always wanted children, and so I was deaf and blind to what pregnancy and birth entailed when all of a sudden, something clicked, and I was ready to think about starting a family. We were lucky enough to become pregnant before I even had chance to do an ovulation test and so it all happened very quickly. 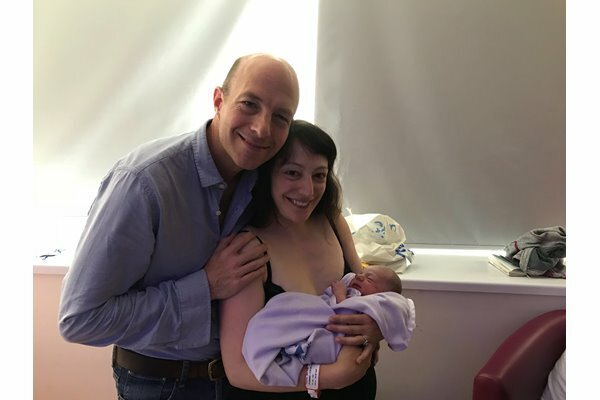 Empowering, connected and amazing is how I'd describe the experience I had delivering my second born. Seventeen months ago it was the complete opposite and I was left feeling weak, powerless and out of control. 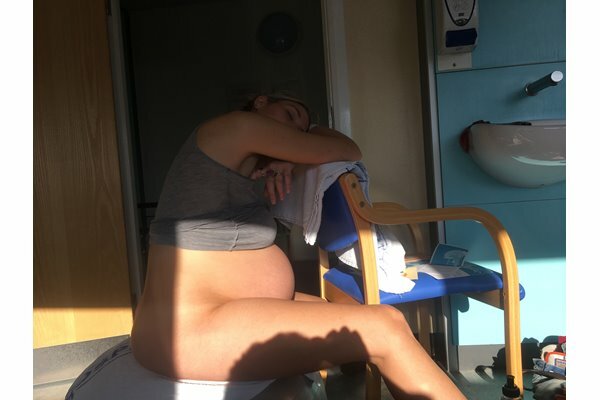 When I found out that I was pregnant again my initial reaction was that I needed to get into hospital at the first sign of a twinge and get as many pain killers as possible . Thankfully I went down a different path. At 5am or thereabouts, on a cold morning in December, I woke up with a slight discomfort. My waters broke. I was amazed, terrified, exhilarated and bewildered. I called out to my husband from the toilet ‘Andy, it’s started!’. I was aware it could still be a very, very long time before we met our baby so reassured Andy we should just get back into bed and sleep. Within 30 minutes or so mild contractions had started, but I still wanted to stay in bed and was almost in denial about what was happening. I wanted our doula to know that things might be unfolding, so sent her a text and then carried on pretending it was a usual Monday morning.